7 Dog Grooming Supplies You Absolutely Need – ComeHereBoy! We’ve done some homework for you to find the very best dog grooming supplies out there. We’ve read the positive and negative reviews and try to sum it up for you so that you don’t have to spend all your time looking it up. Many of these supplies are ones we’ve used ourselves, so we know they work. Make sure your dog gets the best care possible by using these tools! Even though this tool has mixed reviews on Amazon, if you look at them you’ll see the negative reviews are for the knockoffs that some people have gotten. If you buy from Amazon (instead of third party), you should be getting the real deal. 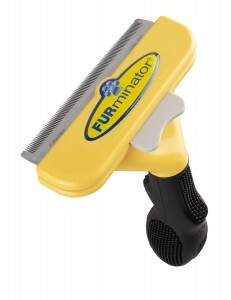 There is a cheaper tool available that also has good reviews on Amazon, but personally I prefer the Furminator (having tried the other) because of the widths available and length of teeth you can get. I really prefer having a wider comb for my large dogs, since I get a lot more fur out at a time than with the smaller blade. For sure it works 10 times better than any other brush on all three of my animals. I’ve had mine for around 5 years now and it works just as well as when I bought it. Some people dislike the fact that replacement blades are expensive and hard to find. 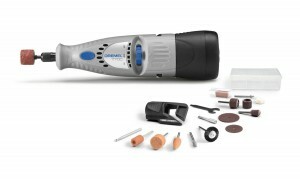 Dremel offers a specific version of its tool for doing dog nails, but people have complained that it doesn’t have enough power for the job. This version has more power and better reviews, though it’s not marked specifically for nails. I have a knockoff Dremel from Harbor Freight that I use (’cause I’m a cheapie), but it’s a corded one and really heavy, which is a pain. I used to have a battery operated Dremel similar to this and it was awesome. Anyway, it’s handy having a little cordless Dremel for dog nails and this one has great reviews. Also nice is the two year warranty! Don’t waste your money on the cheaper versions of hair clippers. They mostly have mixed reviews, just as often working as not. This baby has fantastic reviews; hardly any bad ones at all (4.5 stars on average.) 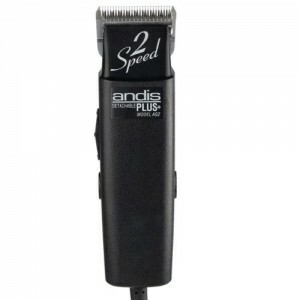 Just remember, if you buy this mid-priced clipper you’ll still save money after 2 or 3 grooming sessions on your own… it’s worth the cost to not cut your dog or pull their hair out painfully. People say this clipper lasts far longer than the cheaper clippers too, and it has just as good reviews as the higher priced clippers. You might want to invest in the cooling spray if you have to trim your dog for more than 20 minutes, as it, like any other clippers, can get hot over time. This is one of those things that if I had a little more disposable income I would buy in a heartbeat. It is so much easier to dry, brush and do nails for a dog on a table vs on the ground. Your back doesn’t have to hurt when you’re grooming! Your dog can’t squirm away! 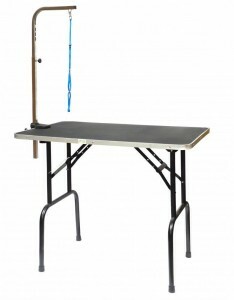 This particular table combines stability, a 4.5 star review average with a low price and prime shipping, a perfect combo. The only cons seem to be that it’s heavy, but that’s the price you pay to not have a wiggly table. 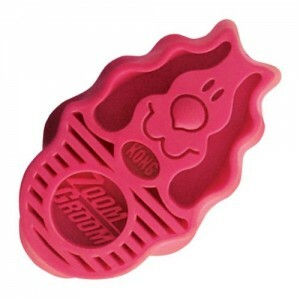 ZoomGrooms are great for really massaging shampoo into your dog’s skin and coat. When I had my plush coated German Shepherd, this was a lifesaver for my hands with the long, rubber tines that really push that shampoo in. It also grabs a bunch of that loose fur that usually gathers all over your fingers and cleans out very easily. The ZoomGroom will probably not work well for certain types of fur (like long silky Yorky fur, for example) according to the reviews. I also like to use a similar rubber curry comb for my shorter furred Rhodesian Ridgeback for this purpose. If you’re looking for some cheap shears for clipping beards, bangs or toes, these are your best bet. They are cheap and effective, with very, very few unhappy reviews. People say they are sharp and that they grip the fur well while cutting. They are comfortable to hold as well. The few people who don’t like them generally don’t like that they ‘feel’ cheap, since your general upscale scissors are heavy and thick. These are definitely worth a try though, since they are far cheaper than your high quality shears. Are there any other dog grooming supplies you can’t live without? Let us know in the comments!